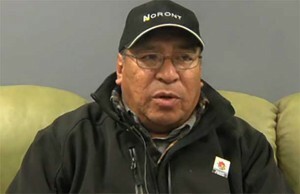 WEBIQUIE FIRST NATION - We have heard a lot in the news recently about whether resource development in the Ring of Fire in Ontario will ever become a reality. Newspapers are filled with discussion about why progress has not been faster, of companies abandoning development projects, and of concerns that Ring of Fire development may never be achieved. These discussions focus on the wrong questions. If Ring of Fire development is to be successful, the question should not be whether the development is happening fast enough. It should be whether the process is taking place based on a foundation of recognition and respect for Webequie First Nation and the other Indigenous nations who call this land home. Despite all the words written and spoken about the Ring of Fire, Webequie and our Indigenous neighbours remain invisible to most of the boosters, pundits and speculators. We are the unnamed "First Nations" or "Aboriginal people." It is time people learned more about who we are and our vision for our lands and future. We have always lived here. We are not going anywhere. We have our own laws separate from Canadian laws. Our laws were given to us by the Creator. We are the stewards of our lands. We are responsible to the Creator, our ancestors and our children to ensure that our lands are healthy and protected. We believe that all things in creation are connected. As part of our responsibilities to the Creator, we work to protect and nurture these connections and relationships. Our language is filled with words that capture the interconnectedness of all things and our obligations to all things. There are no equivalent words in English or French. There is only one road to the Ring of Fire - it is the road that leads to respect and recognition for Webequie and our Indigenous neighbours. It is the road to respect and recognition of our laws, our Treaty and our inherent right to self-determination. All other roads, regardless of how simple and straight they may appear, lead to stagnation and frustration. This summer, the Supreme Court of Canada issued its landmark decisions in Grassy Narrows and Tsilhqot'in. Government should look to these decisions for guidance on how to proceed on Ring of Fire development. The Supreme Court was clear that Ontario is responsible for meaningfully engaging with us about any decision that has the potential to affect our Treaty rights. The Court also affirmed that the best path for dealing with Indigenous peoples on resource development issues is to seek our consent. We believe there is a clear direction for success in the Ring of Fire. It will not be through rushing through permits or the announcement of economic development corporations. It will be through government treating us in a spirit of partnership and through the honourable implementation of our Treaty. In order for this to happen there are three main things that must be done. First, agreements are required with Webequie and other First Nations that reflect a true, deep and enduring partnership. Agreements must respect and recognize Indigenous peoples' role in every aspect and dimension of development in the Ring of Fire. We are not talking about pragmatic partnerships of convenience. These agreements must be grounded in the reality that we either do this together or we don't do it at all. They must be comprehensive in providing for the meaningful and ongoing sharing of decision-making, revenue and benefits. Second, development in the Ring of Fire must be part of the ongoing process of Treaty implementation. No longer can our Treaty be ignored and violated. New agreements cannot be reached while existing ones are treated as if they don't exist. A plan for the comprehensive implementation of our Treaty needs to be developed parallel to the negotiation of agreements about the Ring of Fire. Third, because our Treaty has been ignored and our laws violated our people have suffered economically and socially. Disrespect and neglect have left us with limited capacity to direct, respond to and benefit from the potential for development in our territory. The provincial and federal governments must respond to our need for strategic human, social and economic investments in our community and the similar needs in neighbouring Indigenous communities. The Ring of Fire can be a reality. Our children can prosper and raise their own children who respect and protect the Creator's gifts. Whether the promise becomes reality depends on whether government and our non-Indigenous neighbours join us on the road to respect and recognition. 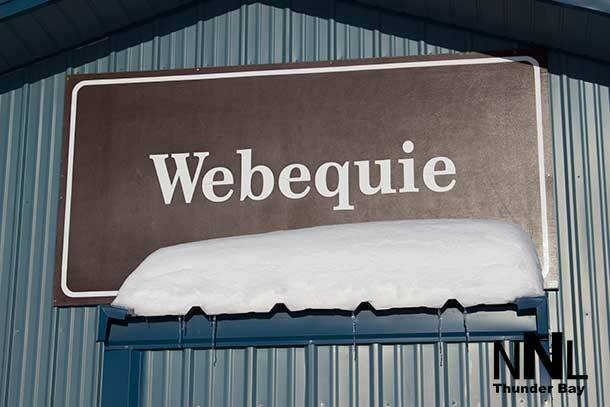 Webequie is a growing Ojibway community located on the northern peninsula of Eastwood Island on Winisk Lake, 540 km north of the city of Thunder Bay. 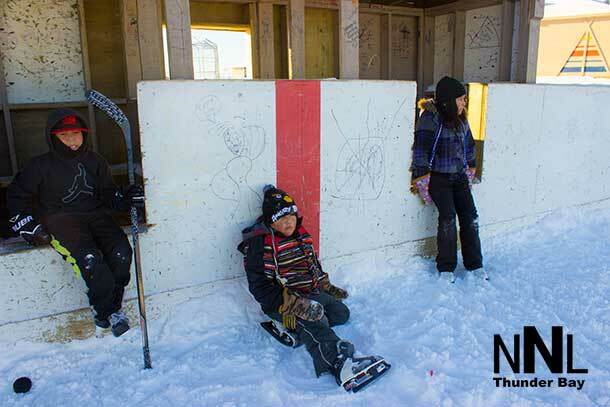 The 600+ community members originate from all over Northwestern Ontario, and enjoy a life that embraces traditional cultural practices. 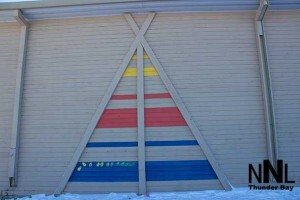 Webiquie is a part of the Matawa First Nations, and is the community closest to the Ring of Fire Development.